The Daisy Dillman Band hold a well deserved seat at the table in Minnesota music history, with their original blend of driving country-rock and soaring vocals. Join them at the Zumbrota State Theatre on Sat., Apr. 27, 7:30 PM. 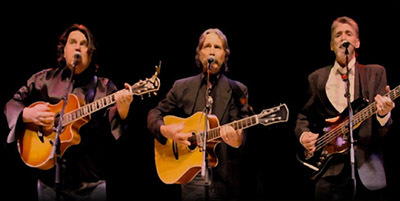 After sporadic one-off concerts over the early 2000 decade, the beloved country rockers from the ‘70s and ‘80s are in the saddle again with fresh new songs and the classic songs from the group fans have loved for all these years. The band that began to form in 1976 quickly grew in popularity, garnering Minnesota Music Awards in three categories in 1978 with their curious blend of country, full-on rock and electric fiddle. The Daisy Dillman Band recorded their first national release that same year, charting in the Billboard Hot 100 with releases for both United Artists Records and RCA Records.The original band reunited in 2003 for a series of concerts, and in 2006 were inducted into the Minnesota Rock & Country Hall of Fame. Tickets are $25 in advance, $29 at the door.